There are plenty of comparisons to social media and startups to pop stars like Lady Gaga. 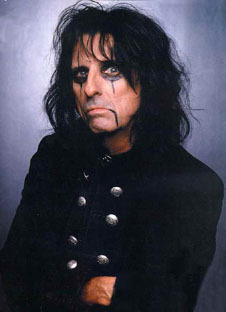 Unfortunately, most of these artists they compare against are flash in the pans who are popular in the moment for quick search results, but sometimes a startup doesn’t just want to be the taste of the moment and should look at an artist with longevity who influenced many of the current artists, like Alice Cooper. Alice Cooper’s career has spanned over 40 years and originated the shock rock genre.This past Saturday, I had the pleasure of seeing Alice perform and felt there were lessons he could teach startups from the experience of his career. 1) Have a Good Product at Your Core – The most important thing is to have a good product to begin with. Everyone at the show on Saturday were there because they loved Alice’s music through the years and the theatrics helped gain attention for the band as they started out and continued to bring people to the live shows even after they were fans of the music. 2) Give Everyone a Chance to Shine – Everyone at the show knew who Alice was and knew Alice’s music, but when he wasn’t singing, he would step back and let members of the band take the front of the stage during the performance. During Halo of Flies, Alice left the stage completely, and for about 10 minutes, members of the band would take solos and leave the stage, giving each member of the band their time in front of the audience. Everyone there knew Alice and his music, but he was able to give other talented musicians the spotlight. 3) Give The People What They Want – Most of Saturday’s set list, with a few exceptions, were what one would consider greatest hits. He played a lot of popular songs that people wanted to hear. People will always come out for what they already like and what they expect, so it’s important to give them that to bring them to your startup or your show. 4) Continue To Innovate – At one point in the show, Alice comes on stage wearing a jacket and turns away from the audience to show the words NEW SONG on the back. He then performed I’ll Bite Your Face Off off of his forthcoming album. Not to just rest on his laurels, Alice continues to create new music and keep creating new things and introduce it to the audience that is familiar with his existing product, and possibly new listeners. 5) Leave Them on a High Note – Throughout the show, Alice worked the crowd. He had spider arms, did his guillotine act, and raised Frankenstein from the dead, but for his encore, he played Elected while waving a flag in a sequined tuxedo. Streamers and ticker tape were fired off into the crowd as he brought everyone into his act. It was a strong, upbeat song that had the crowd on their feet (not that anyone sat during the show) and gave them a memorable experience to exit on. At the end of the show, Alice Cooper introduced each member of the band, and as he finished, he took front center stage and said “And you all know me.” By having a memorable product, he didn’t need to introduce himself. Since everyone there knew his music and were dazzled by his stage show, he didn’t have to give his name. His name was on the lips of everyone there because of the quality of what he put out there and it kept his fans coming back.